The death toll from the tsunami which shook the Indonesian island of Sulawesi accompanied by a powerful 7.5 magnitude earthquake has soared to 405. After the quake jolted the region on Friday, scores of buildings got collapsed rendering as many as 350,000 people homeless in the coastal city of Palu. Addressing the media, Indonesian Disaster Management Agency spokesman Sutopo Purwo Nugroho, said, "the death toll is at 405 early on Sunday, based on the number of bodies that had been recovered. More than 400 people were badly injured. Many victims were still buried under the rubble of evacuation efforts were slowed by lack of heavy equipment and personnel." "Electricity and communications have been cut off, making it difficult to assess the damage in Palu and nearby fishing community of Donggala, It is not just the people in the large urban areas. There are a lot of people also living in remote communities who are hard to reach" Jan Gelfand, head of the International Red Cross in Indonesia," Nugroho added. Indonesia is situated in the Ring of Fire, an area in the basin of the Pacific Ocean, vulnerable to frequent earthquakes and volcanic eruptions. The island nation is still grappling with the after-effects of a series of powerful temblors that rocked Lombok island, claiming 555 lives in July and August. 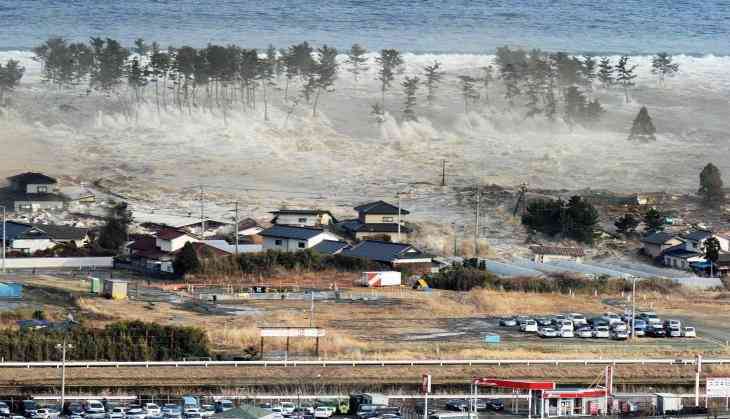 In 2004, a 9.1 magnitude earthquake had hit the Sumatra island triggering strong tsunami waves in the Indian Ocean and killing as many as 2 lakh people residing in several countries, including India and Sri Lanka.